Hrishi: Hello listeners! Welcome to NSE presents invest-o-cast, an exclusive investor podcast powered by Moneycontrol. I am your host Hrishi K and this podcast is all about getting money to make better investments for you. All of us have a dream of owning a big house, a big car, taking a foreign vacation every year, some of us achieve it some of us don’t, some of us save for the children, some of us want to retire and some of us want to start their own startup. So many goals, so little money but is that always true? Guess what a little bit of financial planning and a little bit of education and learning good habits can put all of us on the path of achieving our goals. Now look at it, at the centre of all our dreams, in the middle of all our plans the most critical aspect, the road to take us places is our money, Savings and our investments and how would you feel if you had no map, lost and did not know how to handle your money? You don’t have to worry any more. We are here to help you navigate through the ups and downs of your roots and help you get closer to our financial goals. National Stock Exchange NSE with the help of podcast “Invest – O – cast”, an exclusive investor podcast powered by Moneycontrol is committed to improve the financial well-being of people. NSE’s endeavor has always been to ensure that an ordinary Indian citizen participates and benefits from the wealth created from India’s growth story. They need to be told that we are long-term and goal-based investment plan. Wealth can be created. Every year NSE actively conducts a lot of investor awareness programmes. These include financial literacy right from school level and skill building at college and university levels. More than 10 thousand investor awareness programs were conducted by NSE in the last 10 years. With this new initiative we break the limitations of geographical boundaries and reach investors across the country. The initiative will educate investors on investment in an interesting format that they can relate to, with the help of pool of our human resources having the right skills and expertise to help enhance financial education to people. National Stock Exchange with the help of Invest-o-cast an exclusive investors podcast powered by Moneycontrol is committed to the financial well-being of the people. Joining us on the inaugural episode of the show today is Santosh Nair, Editor of Moneycontrol. Santosh oversees editorial content on the website, he also writes on trends and policies related to the stock market, and profiles investment gurus. Hey! Santosh, great to catch up with you. You really come from a hot pot of financial markets and the best way to start at the top, we would like to know more about you. Santosh Nair: Hrishi thanks so much for the kind introduction. Well now I have been writing on the stock market for nearly about 22 years and over the last 22 years I have worked with 2 business dailies and worked for an internet radio startup, a news agency and I’ve been with Moneycontrol for the last eight years. I have also written a book called Bulls Bears and Other Beasts that is about the stock market traders’ journey on Dalal Street. Besides writing, I also enjoy cooking, reading and conversations, so Hrishi that’s about me. Hrishi: Well they always say that to sit down at a table in a disciplined manner and write a book, takes enormous patience. Would you agree? Santosh Nair: Well of course it took me a better part of almost 3 hours (a day) because discipline is the key element here. Hrishi: Now let’s come to Moneycontrol and the website’s efforts as far as financial education and awareness are concerned, talk us through this story. Santosh Nair: Moneycontrol is India’s leading finance website that offers data, tools and content. There are about 20 million users visiting our website every month. For a vast majority of us, financial freedom is very important. Now if you see what is different, compared to in the past, is that there were hardly any financial products that gave assured returns, everything was market related. Besides that, you have well-paying jobs now but there is nothing like a job for life that has also undergone a very significant change, so you may be making a lot of money, but then you also need to plan it very well. Hrishi: Well, to your credit I find that people who use Moneycontrol are very sticky. And that kind of loyalty is very very rare to find and you’ve worked very hard to establish that. Santosh Nair: Yes, definitely Hrishi, the site is now almost about close to I would say 20 years old, so we built our audience painstakingly, over these last 20 years we have taken user feedback very seriously and that is something that has helped us. Hrishi: So come on I am really excited about this podcast, there are going to be a few new investors and seasoned investors all tuning in we are hoping over the weeks and also to build our own loyal base of listeners to this podcast. So what are some of the things that both new and season investors can look forward to? Santosh Nair: Well Hrishi, they can look forward to handy tips for investing in the market and get help from personal financial experts on how to manage their money. The most important thing is that they get good returns on both savings and investments, so this in turn will help them spend on things that matter to them and it will also tell them how to plan for their retirement, how to build a balanced portfolio, the pros and cons of different asset classes and many other things. Hrishi: You know, just the fact that simplify things and simplify financial jargons, which is still quite an untamed beast for a lot of people who are uninitiated, so the hope is to get new listeners who come in an demystify financial work. Santosh Nair: Definitely Hrishi, this is something the show would try to do. Finance as such can be quite intimidating, but actually it is not, and this is what hopefully the message we’ll try to give. Hrishi: Superb! Now with the help of the series all of you who are listening will be able to learn about finances on the go, we must have some advice from you Santosh for listeners to keep in mind while investing, so let’s talk about overall five habits that go a long way in financial planning, but habit number 1 which you think is absolutely imperative for anybody who begins their financial planning. Santosh Nair: Hrishi before I start, I would like to say that there are different rules for different people, somethings work for some and for some people they don’t, so I think everyone should have their own list of five rules and these are some of the things that I have picked from my interaction with people in the market reading books and other things. So the most important rule according to me or important habit, I would put is that you need some kind of goals in front of you, this is something I suffered from in the initial years because I did not have any particular objective in sight. So that meant that I was little careless with the money, but then I noticed that the moment you set some objective, then you have a target, you need X amount of money within this duration, so accordingly you start saving, investing whatever you do. So to my mind the most important habit is that set a goal, know what is it that you want to spend on and how much time do you want to save that in. And once you have this in mind, it is like running a marathon, then you know how to pace your investments, so I would say to keep and objective and keep a goal and that habit will definitely help you. Hrishi: You could call it a clear goal or a clear target. Rule number 1 in Santosh’s book is to be clear about that objective or goal or target, let’s go on to the second object or the second discipline that you would like all listener to have. Santosh Nair: The Second habit I would say Hrishi is that we need to understand our own risk appetite quite well. How much risk are we willing to take? Many years back when I was writing on the market. One speculator told me that you know the amount of profit that you make is always proportional to the risk you are willing to take. Risk appetite of course varies based on your age profile and if you’ve just started of maybe you have a longer runway in front of you, you can take more risks. Let’s say someone who is closer to retirement will not able to take so much of a risk, but even within individuals you will find that each of us has a certain tolerance as to how much risk we can take. When I say risk, what I mean is Hrishi, you should be willing to write off that amount. You should say okay, this much I will put in risk assets and there is chance that it will give me fantastic returns, but if the entire chunk vanishes I am willing to live with that. Understand your risk well that is again very critical because if you take too much risk when you don’t have appetite for it and if something goes wrong, it can upset your plan. Hrishi: Conversely Santosh can I ask you if we can put in this way “how well you can handle your losses”. This is another way of approaching it and looking in it. Okay, let’s move on to third habit that you would like pour listeners to stand by. Santosh Nair: The third thing here is the financial product. Most of them are not easy to understand. Well at some level they are, but other than a fixed deposit you know most of them are market linked. You need to have a fair understanding of what you are getting into so probably if you don’t understand it well enough, don’t feel embarrassed and seek the advice of an expert. You just can’t get into something because you see everybody around you doing the same thing. Understand the products that you are getting into, that is the third habit I would say is an important one. Hrishi: Also seeking an advice from the right kind of person. I have notice that whenever I have tried to take an advice from slightly older their thinking has been more orthodox in the sense that get that house out of the way buy that property. Whereas you’d find a lot of millennia IFA’s will turn around and say you really want to buy that house. Why can’t you just rent and get the same amenities and even better amenities. The kind of advice you get is something you’ve got to factor in. Santosh Nair: Definitely! That again comes down to your own upbringing and what you have been taught is very important. Hrishi: Ok let’s move to habit number 4 so what would you say should be habit number 4? Santosh Nair: So after you have invested your money I would say monitor it periodically. If you are doing it through a financial planner, he will probably keep you updated and will tell you when to make changes and he will tell you when to shift from one asset class to another. In case you are doing it on your own then you need to monitor it regularly. Partly the risk here is that there is lot of noise if you read the papers, watch television as there is all kind of information there. We are drowning in information, so it’s very important that you don’t get overwhelmed by the information that prompts you to react in panic. At the same time, you need to be aware of what is happening in the world around you and how that is affecting your investments, Do seek advice on that or act on your own. In short, be up to date with your portfolio and that I think is habit number 4 for me. Hrishi: Monitor your investment regularly. Do your own homework bit on the side is Santosh’s Mantra and finally the 5th and final habit that you would like our listeners to follow Santosh. Santosh Nair: Well Hrishi the fifth habit I think and the most important one — in the absence of which the other four can only help you so much — is discipline. I think you need to tell yourself that come what may, I ensure that I save at least this much. Of course there may be months where you would not be able to save as much, there may be a month where you may save more, some unexpected amount of money which you have not really bargained for, but I would say that discipline is very important. If you are investing in something which is linked into the stock market, like mutual funds and all, don’t try and time the market, that’s a temptation. So once you have decided that this is the amount of money I need to save then probably you need to ensure that every month you set aside that much of money and invest it in a disciplined manner. If you have committed some amount of money into whatever financial instrument then you better stick to your plan. Habit number 5- Be disciplined in saving money and don’t try to time the market. Wow! Santosh I just realized that there are just lot of these things common sense and we are probably not doing them because we are not investing in ourselves or are just plain lazy. Santosh Nair: Yes, I agree with you Hrishi. Hrishi: But this New Year it is really time to change, you know what I am going to do? I am going to use my smart phone for some really really smart things. Set up reminders, may be use some apps which are relevant, relevant to build these habits and implement all of these new habits in year 2019 and I am sure all our listeners will do too. Thanks a lot Santosh; it was wonderful chatting with you. Santosh Nair: Same here it was a pleasure Hrishi. Hrishi: And that is a wrap on our show, NSE Invest – O – cast. 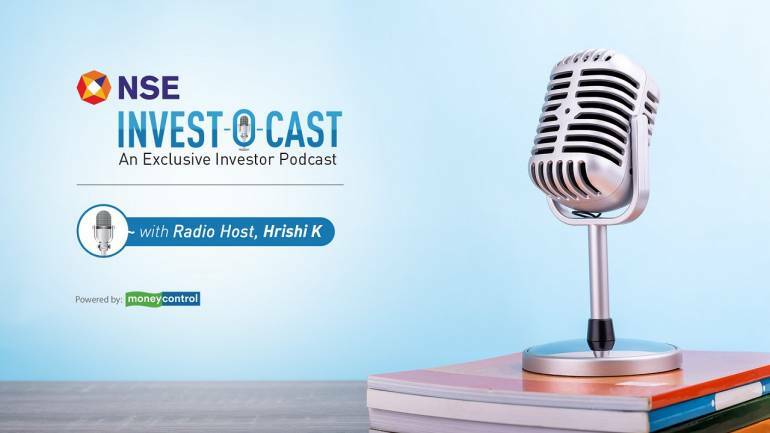 I am your host Hrishi K for the NSE presents Invest – O – cast, an exclusive investor podcast powered by Moneycontrol. To know more about our podcast log on to moneycontrol.com and visit the podcast section. In case you would want us to address any other investment queries do write to us on nseinvestocast@nw18.com. You can also reach out to us on Twitter at moneycontrolcom or Facebook at moneycontrol.com. Do remember it’s #NSEInvestocast. That’s it then, we will meet again, thank you for listening.